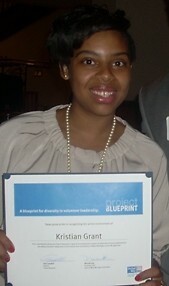 A profile of 2011 Project Blueprint graduate, Kristian Grant, who is deeply involved in and committed to her community. Kristian Grant is a young woman who has a lot going on- and a lot going for her. The busy young nonprofit professional not only works for an organization that serves the community, she's also a member of two local advisory committees and the founder of a nonprofit group that works with college students. For Kristian, participating in United Way's 2011 Project Blueprint class was an essential step in her development as a leader in the community. "I want to be heavily involved in decision making that is critical to me," she said. "I knew that to do this I needed to be equipped with the necessary knowledge to be an asset." Kristian is already putting the lessons she learned during Project Blueprint to good use in the community. She currently serves as an Advisory Committee Member for the ITT Tech School of Buisness and, as a result of Project Blueprint, recently accepted a seat with the City of Wyoming Community Development Committee. She also continues to co-lead the non-group REAAL (Radiating Excellence in All Areas of Life), which focuses on developing college students socially and professionally through community-based projects and initiatives. 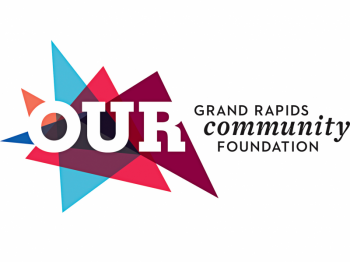 Recently, she also set herself the challenge of blogging daily about all the many things that make Grand Rapids a great place to live and work. And all of this is in addition to her day job as the assistant for the Kent County Tax Credit Coalition. Her involvement in the community is just all in a days work for Kristian, and a central part of who she is. "Volunteering and engagement is essential to the development and diversity of a community." She added, "It provides the opportunity for a regular individual to be the change they want to see, and in the process hopefully inspire someone else to do the same."